Brick police have arrested two men after they were caught following a botched robbery of the TD Bank branch on Brick Boulevard and Beaverson Boulevard Tuesday evening. According to a police source, one of the men involved approached the bank entrance at about 5:30 p.m. carrying a handgun, but the doors were locked at the time since employees were getting ready to close for the day. The man then fled the area on foot toward Hooper Avenue got in a car, which was last seen traveling westbound on Beaverson Boulevard toward Lakewood. After the robbery attempt, Detective Daniel Waleski received information on the case and put out information to officers. Ultimately, Officers Ziobro and Frankopf, who were on patrol in the area, along with Waleski, conducted a motor vehicle stop on the suspect vehicle and arrested its two occupants near the intersection of Beaverson Boulevard and Shorrock Street. Michael Gibson, 22, of Toms River, is the man suspected of attempting the robbery. Sydir Gibson, 20, of Eatontown, is suspected of driving the getaway vehicle. A black BB-style handgun was recovered from the vehicle. Michael Gibson was charged with robbery, possession of a weapon for unlawful purpose and possession of a hand gun; Sydir Gibson was charged with robbery. Bail for both men was set at $500,000 cash by Superior Court Judge Joseph L. Foster. 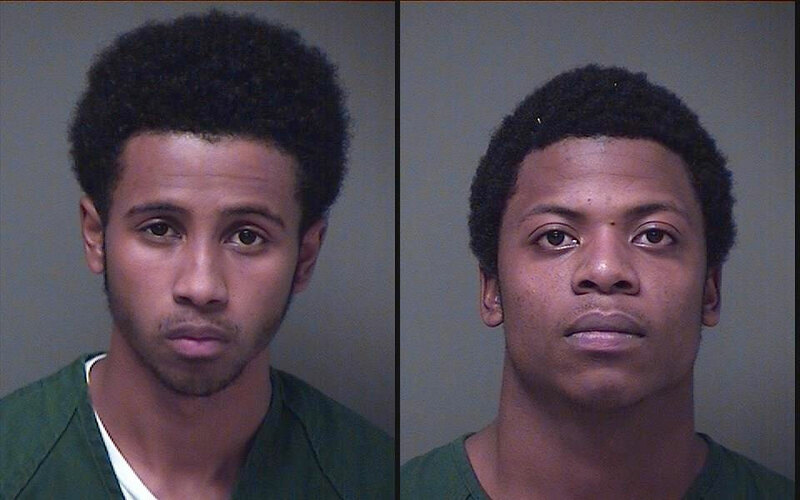 Both remained in the Ocean County Jail Wednesday in lieu of bail.